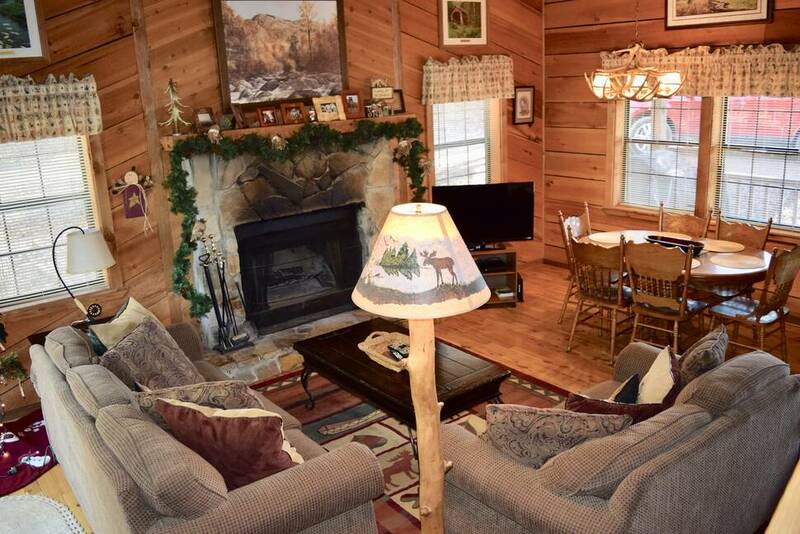 This peaceful 3 bedroom (queens), 2 1/2 bath log cabin is nestled into the woods of Bradley Mountain with a Spectacular View of the Smokies from the front porch and living room, a private hot tub on its own deck in the trees out back. Cherokee is a wonderful cabin for both couples and families alike. On the main floor, you will find a living room with wood burning fireplace, kitchen, bathroom and bedroom. For a larger group, you will find two private bedrooms and a half bath for convenience upstairs. The full finished basement provides entertainment with an air hockey table, foosball table and TV seating area. The laundry room and another full bath is in the basement as well. Every bedroom in this cabin has it's own LCD TV for late night viewing. 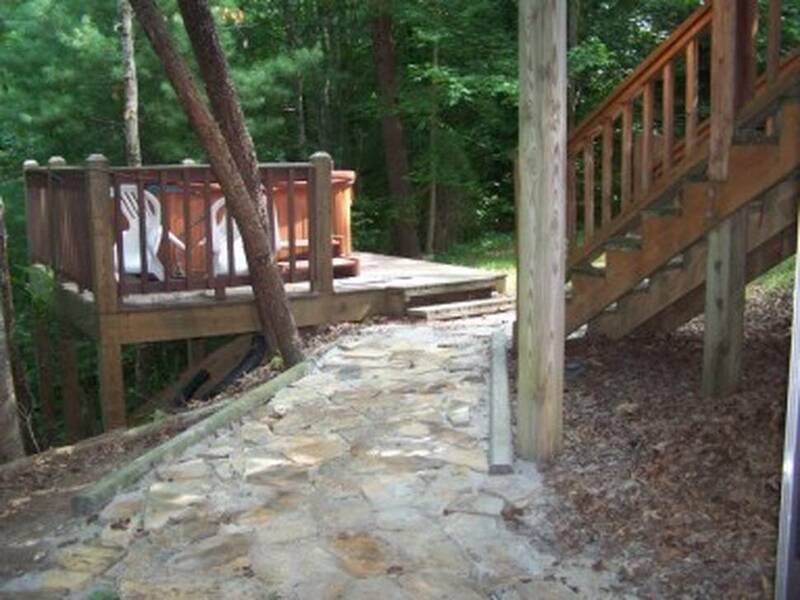 Just a walk outside along the stone path and you'll be in your 6 person hot tub. 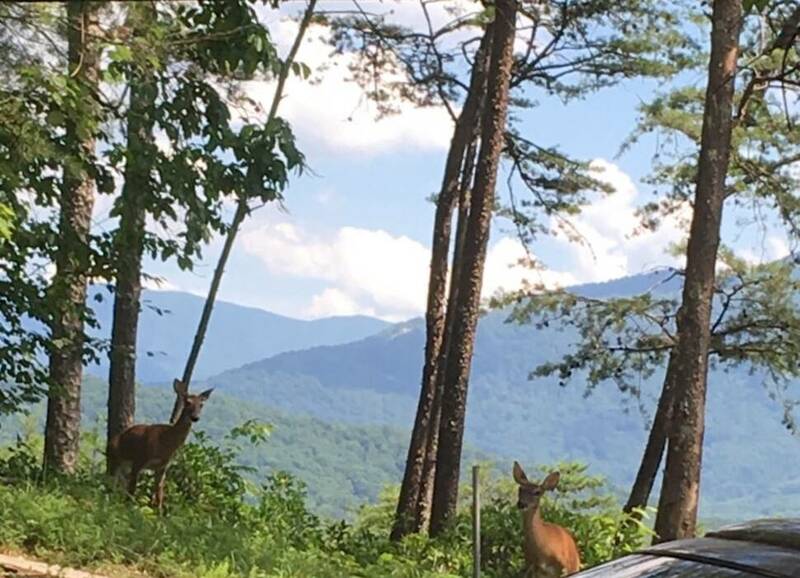 Easy and fast access to Cades Cove and the beautiful Smoky Mountain National Park. 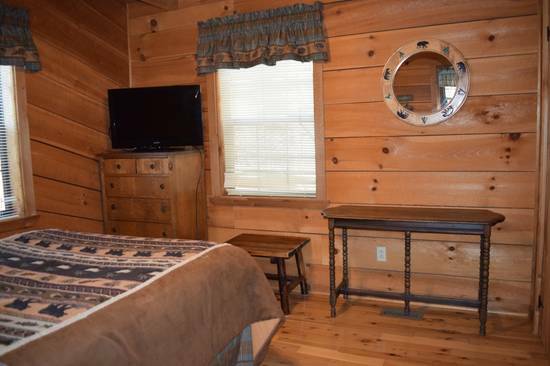 Only 20 minutes from Pigeon Forge and 30 minutes from Gatlinburg. Cabin was absolutely beautiful..we loved it. Very peaceful and relaxing. Amazing place. We will be going back there! Absolutely loved the front porch and tin roof. Very good overall experience. Enjoyed the cabin. The only complaint is the hot tub needs to be under cover so we could use it while it was raining. Nothing else to complain about other than little minor stuff that could happen anywhere. 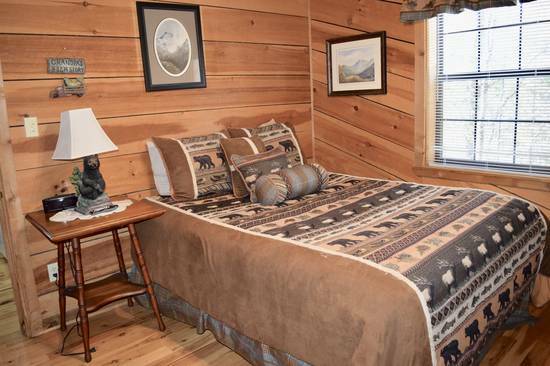 We would definitely recommend this Smoky Cabins and the Cherokee cabin. 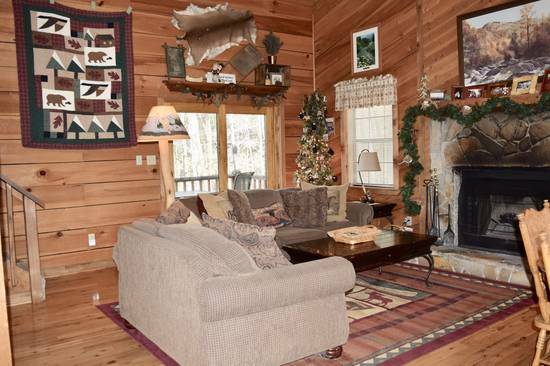 I loved the location and homey feel of this cabin. I felt that it was a good value for the money. 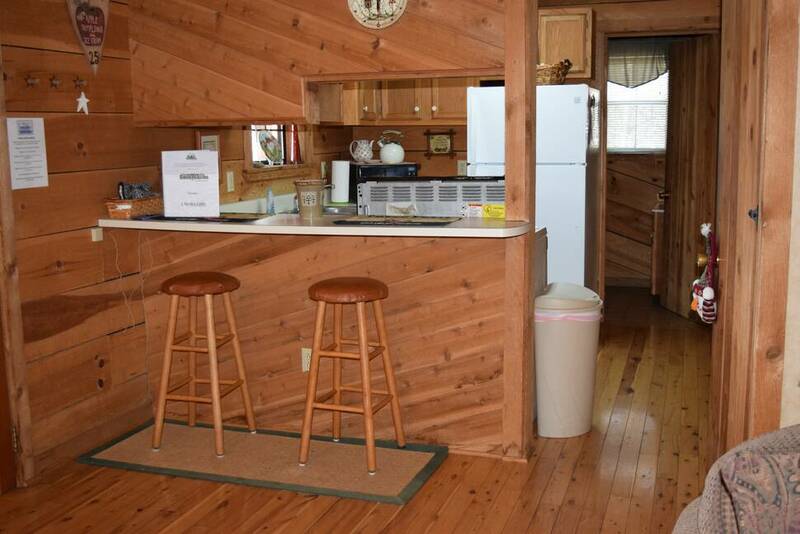 However, I would not rent this cabin again for 8 people. 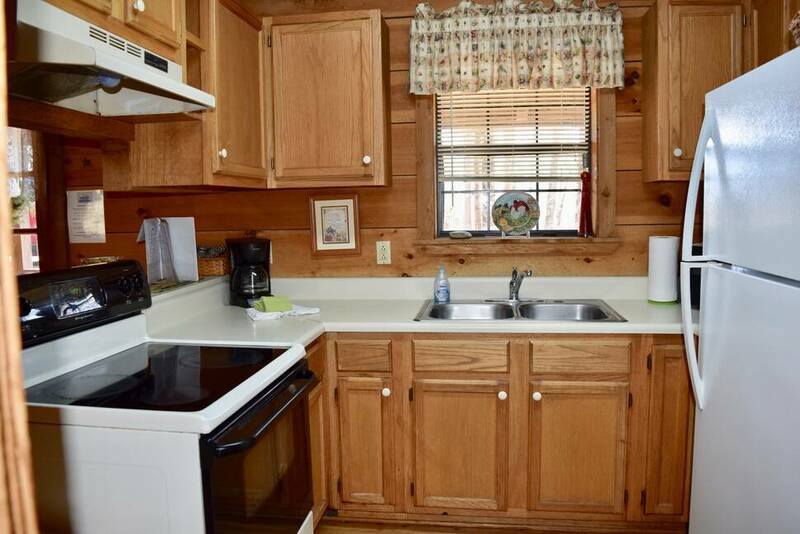 It is tight quarters for people who plan to cook, the kitchen is very small and difficult for more than one person to maneuver in with limited counter space and cabinet space for food storage . There is no dishwasher, so that is a lot of cleanup for 8 people. 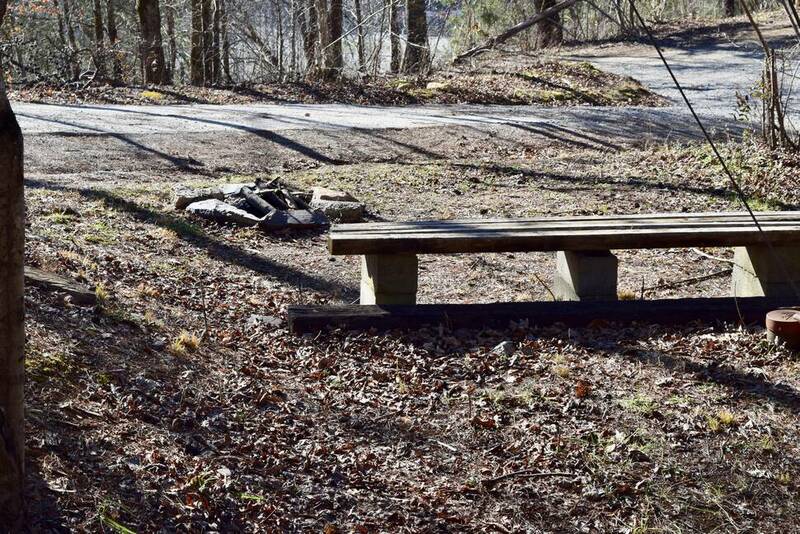 I think that a couple or smaller family (2-6 people) would feel very comfortable and happy here. The front and back porches were lovely and the location close to Hwy 321 is great. Management absolutely gets 5 stars, problem solvers for sure! 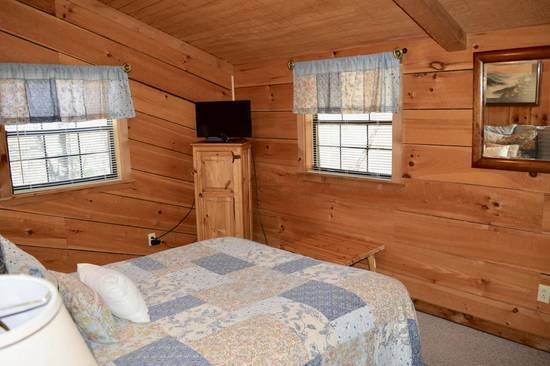 Not that there were any problems with our Cherokee cabin, just that our car couldn’t make it up the hill to our original cabin and this cabin was miraculously found for us. 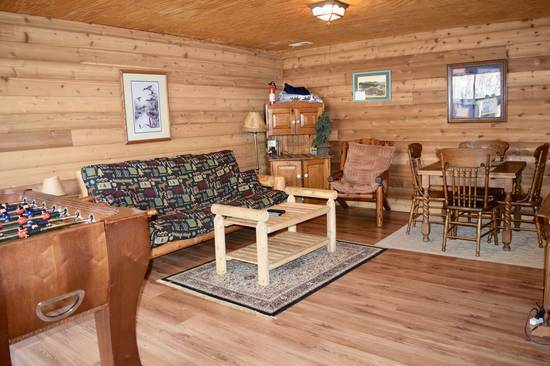 It is spacious, very comfortably and attractively decorated, and was spotless. Lots of hot water, great water pressure (very important to me), comfortable beds, great outdoor spaces, and so much space inside. Private, quiet, very close to the park entrance. Great place to return home to after hikes, equally great if you happen to be rained in. 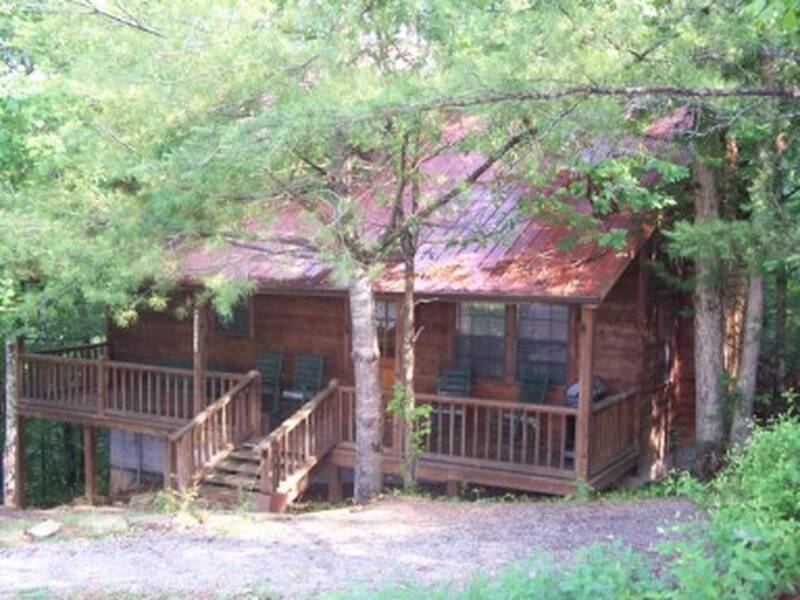 We thoroughly enjoyed the Smokies and our Cherokee cabin. Always a wonderful stay at Cherokee cabin! Management are lovely people and always helpful. 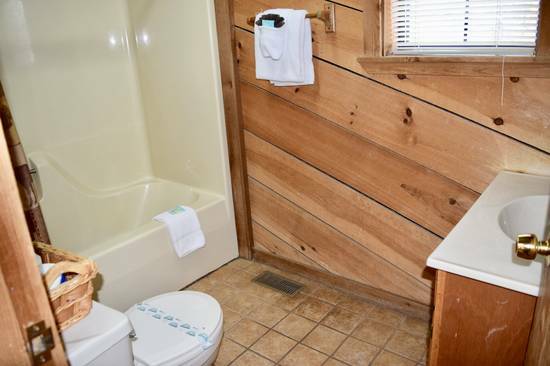 Cabin is well cared for and clean. Also well stocked. Thank you! We had a great time.the cabin was clean and we also enjoyed the hot tub..thanks to all of you for a good vacation. Great views. Easy access to highway. Close to the caverns. 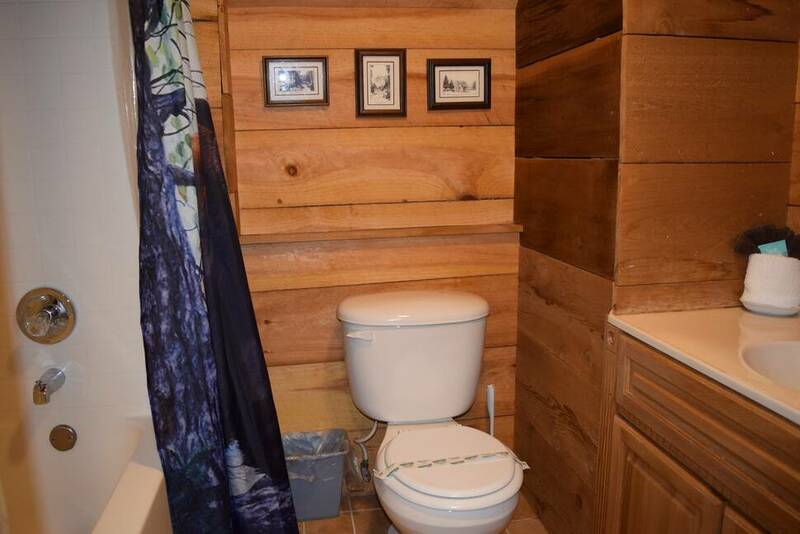 Clean cabin with everything you need. 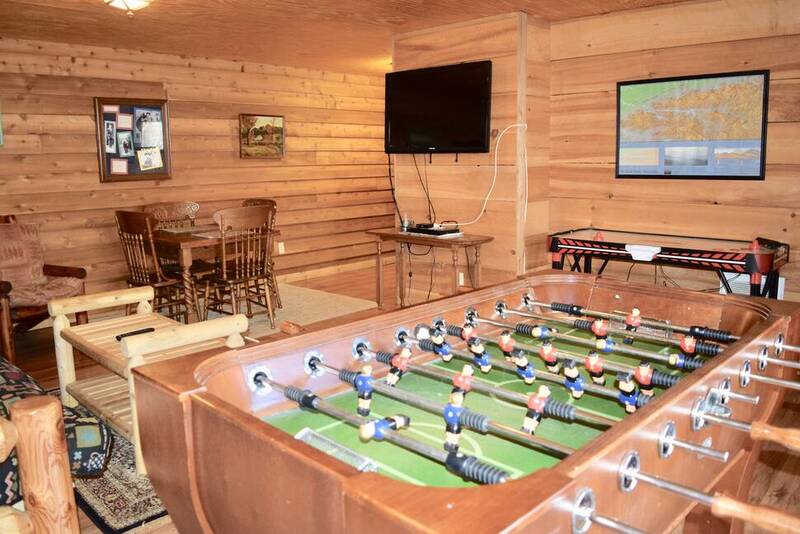 Daughters loved the fooseball table and hot tub. 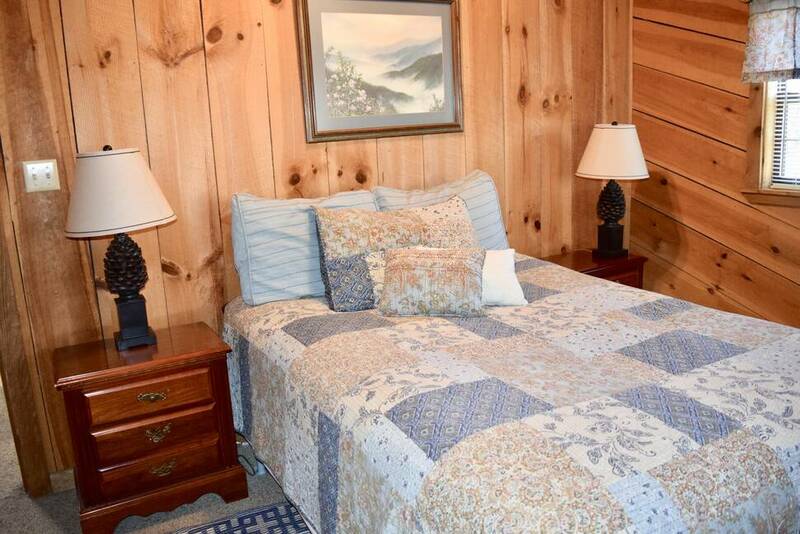 The cabin was very clean, and the staff at the office were friendly and helpful when we called upon arrival and departure. We enjoyed our stay! 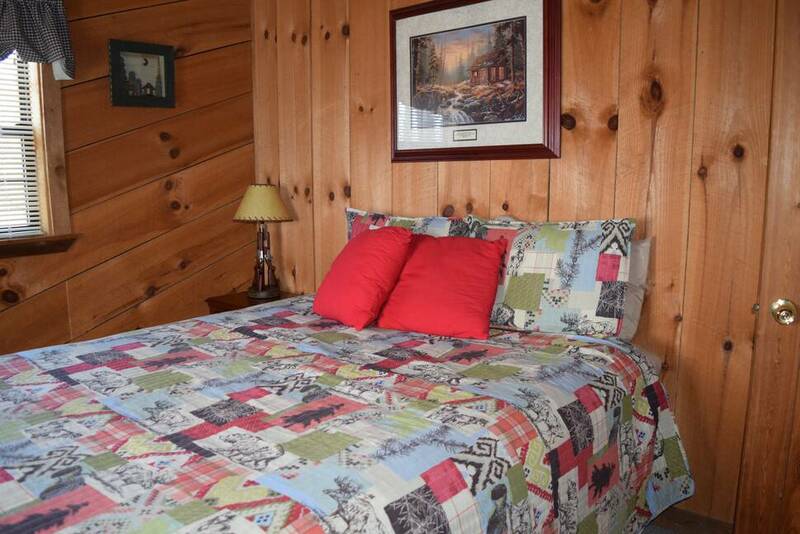 The cabin was clean and felt homely. While we have enough blankets and pillows, had to wash towels 2 x's to allow usage. Not enough only 5 total, for 5 adults and 3 kids. Management Response: Actually that cabin has 16 towels in it. 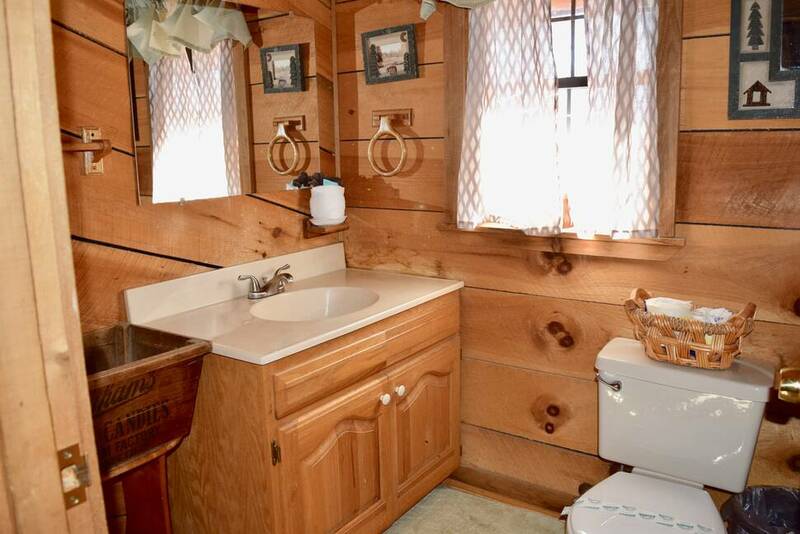 They are in the cabinets under the bathroom sinks. I guess no one looked in there. We loved our stay! We had an amazing time! Thoroughly enjoyed our stay, I am a long time fan of the smokey mountains, my husband and step kids are new to the experience and they had a good time as well. And that is saying a lot considering they have always been beach people. Had some issues with water pressure but they made sure to get someone out there to fix it very quickly for us. Very nice! We will definitely be back. Great location, clean, cozy, and quiet. We will be back! Overall great experience. 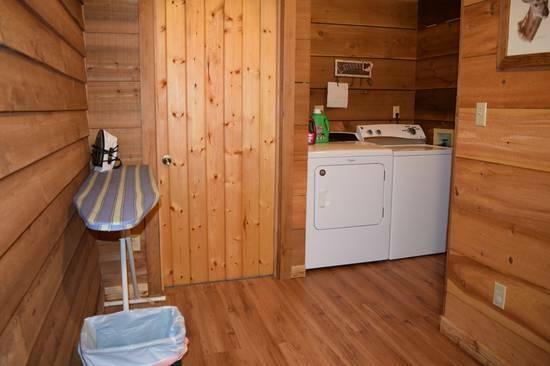 We had a few issues with the cabin but was resolved quickly except for the dryer and due to timing and rain I couldn't get to the laundromat or leave them out to dry. The cabin was clean and setup nicely. We are already looking at a different cabin for next year. Management Response: We are so sorry for the dryer issue. The part is supposed to be here on Monday and will be fixed after that. Thank you!! 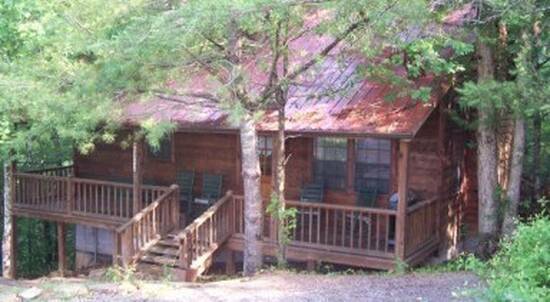 We had a great time and loved the cabin! Great for large family. Cozy. Our family loved spending time at the Cherokee cabin as a base camp for Cades Cove, Gatlinburg, Clingmans Dome, etc. Townsend truly is the peaceful side of the Smokies and we loved that. The game room in the basement was great for evenings winding down. The WiFi was great and the porch was an absolutely perfect spot to sit with coffee in the morning and an ice cold beer in the evening. 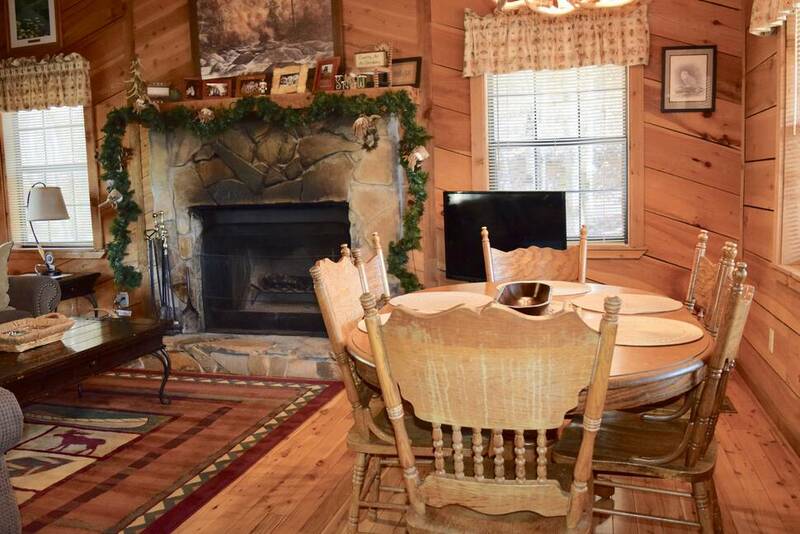 Seven friends enjoyed our stay in this quaint, rustic cabin. 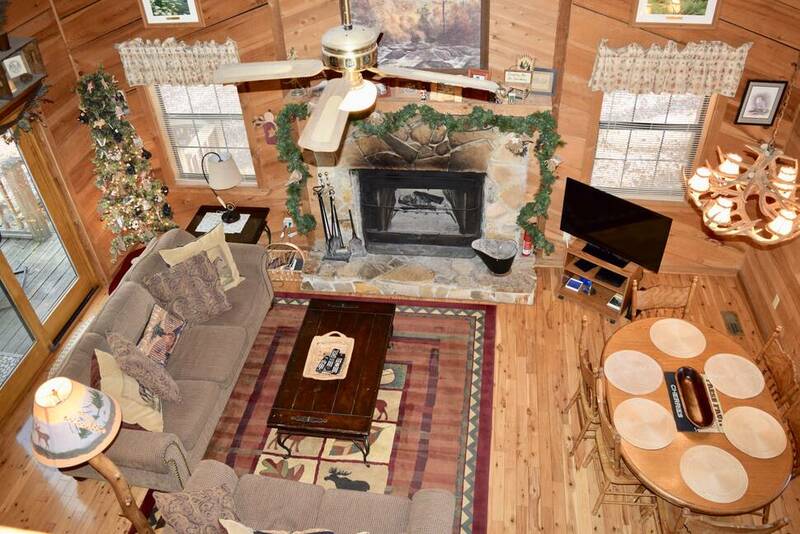 The location is perfect—isolated, yet close enough to run to town if necessary. A very enjoyable stay! 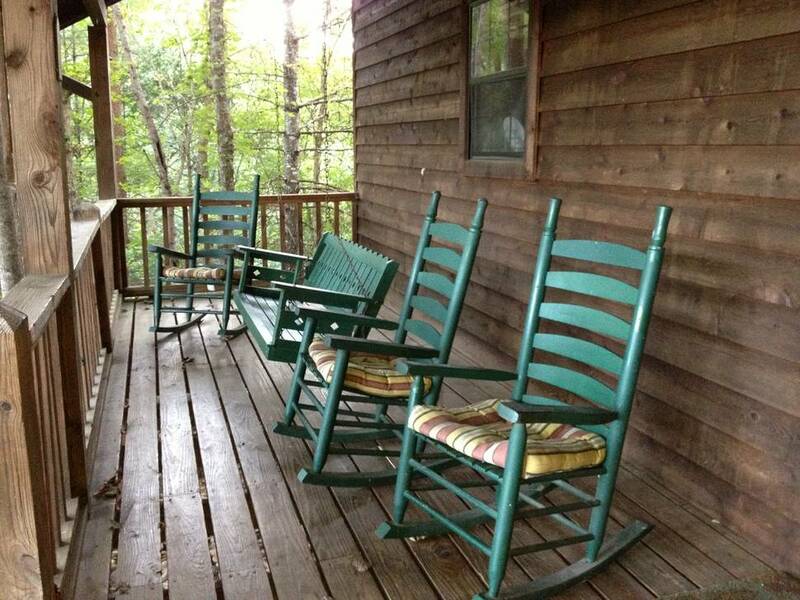 We have always been very very happy with everything in all the years we have booked with Smoky Cabins! Several years ago my husband and I were staying in Heavenly View and yes the view is truly Heaven,we loaded all our stuff the night before into the trunk as we were leaving early to head back to Northeast Missouri,only to wake up to a flat tire and pouring down rain,unloaded it all to get to the spare and you guessed it....it was flat!! 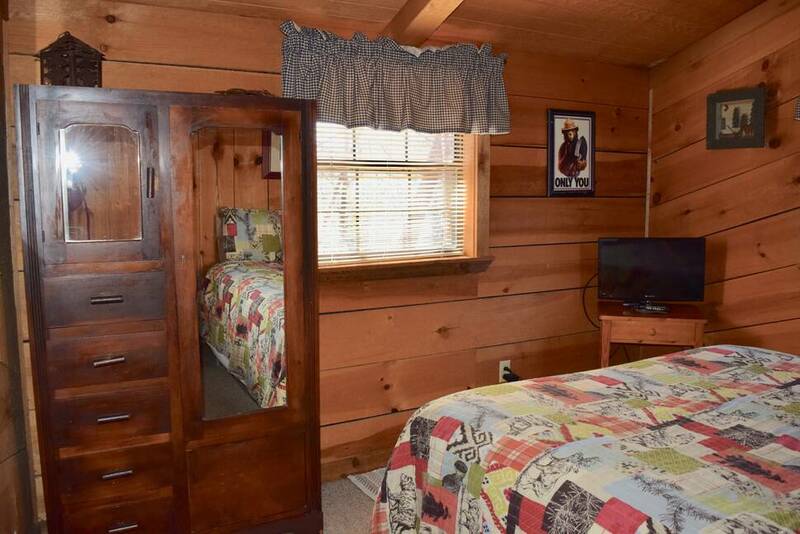 We did not know anyone or anyplace to call so my husband called the Smoky Cabin office and Keith so kindly came to our rescue,we were truly greatful as it was something that he did not have to do.. Very highly recommend them!! We had a great time and will definately be back. We live in Knoxville so this was a great place to stay on the polite side of the smokies! We had a great time! Very nice cabin. A little farther away than I thought. But worth it.